Jotika 9008 H.M.A.V. Bounty 1/64 scale wood ship kit! 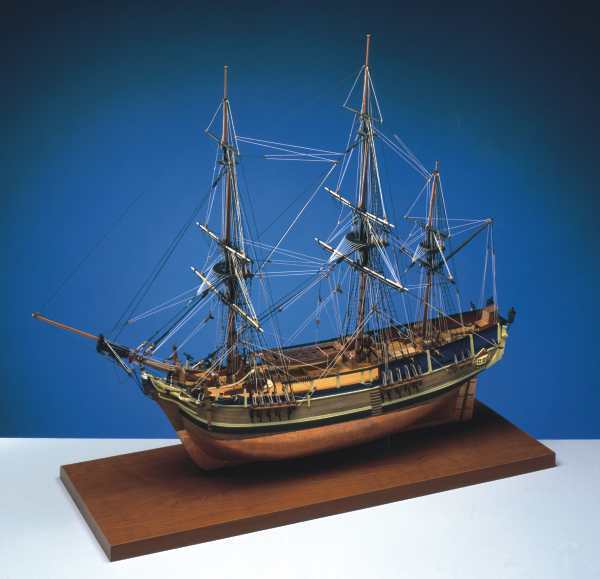 Kit includes: CNC cut ply and walnut components throughout; Double planking in lime and walnut; copper plates for hull below water line; highly detailed brass etched sheet, including window frames, boat grapnels and oars; chainplate assemblies etc; detailed cast decoration; turned brass cannon; rigging thread in black and natural; full set of instruction plans and detailed instructions.